U.S. Pat. No. 5,707,114: Vehicle wheel. 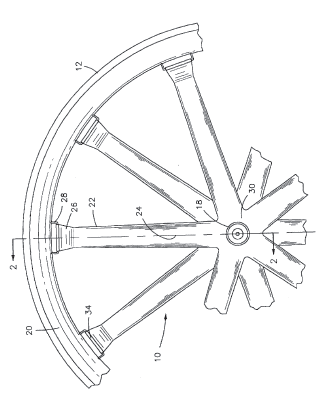 JW Note: The spoked wheel . . . application filed in 1995. Many thanks again to Michael Barclay for the submissions.